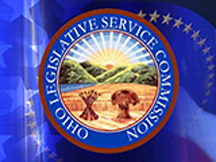 The Ohio General Assembly, through the Ohio Legislative Service Commission (LSC), has sponsored a legislative fellowship program for over 45 years. LSC sponsors over 20 thirteen-month legislative fellowships designed to provide college graduates with practical experience in the legislative process. This experience often leads to permanent employment opportunities in the legislature, state government, or related areas. Each year, The Ohio Channel (with parent company Ohio Government Telecommunications) offers two such fellowships. Individuals who earn this opportunity will work as production assistants in the Statehouse Media Center where they assist in televising legislative sessions and in the production of public service communications. The fellowship program begins on or around December 1 of each year and continues through December 31 of the following year. The application period begins January 1 of every year. The application deadline is May 31. The only eligibility requirement an applicant must meet is the completion of a telecommunications-related, bachelor's degree program prior to the beginning of the fellowship in December.